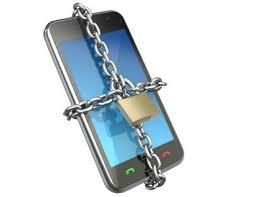 IL 177920 to Rafi and Rephael Nachushtan is titled “CELLULAR DEVICE SECURITY APPARATUS AND METHOD” issued on 4 May 2013. The first renewal was due three months later, however the patentees missed the deadline, and after a further six months, the patent went abandoned. The application was originally filed by Appelfeld Zer Fisher Weiler, who presumably drafted the application. The prosecution was handled by Pearl Cohen Zedek Latzer Baratz, and on issuance, the Applicant claims to have taken control of the case. However, the evidence submitted as a letter to the patent office was not in the patent office file. No change of address was recorded and no fee was paid. ON discovering that the patent had lapsed, apparently being informed by the Attorneys of record, the Applicants attempted to revive the patent and submitted a first affidavit through the offices of Ehrlich & Fenster. This first Affidavit was considered to leave too many gaps in the chain of events and didn’t correlate with the Israel Patent Office record. The Nachushtans were given a second opportunity and that was also considered unsatisfactory. Ms Jacqueline Bracha refused to allow the patent to be reinstated, but has given the Applicants an opportunity to set up a hearing to appeal the decision and to answer questions.